ST. PETERSBURG, Fla.— Conservation groups today filed a notice of intent to sue three federal agencies for failing to assess harm to Florida’s endangered species before approving the ongoing release of Lake Okeechobee waters polluted with toxic, nutrient-rich agricultural waste. The discharges likely help drive the catastrophic “Red Tide” algae blooms killing Florida’s coastal wildlife. The groups are challenging the U.S. Army Corps of Engineers’ plan to extend through 2025 deadly discharges from the lake into the Caloosahatchee and St. Lucie rivers. The discharges harm protected marine species like sea turtles and Florida manatees and trigger toxic algae blooms that limit use of waterways and cripple local economies. Today’s notice gives the Army Corps, the U.S. Fish and Wildlife Service and the National Marine Fisheries Service 60 days to respond to the claims submitted by the Center for Biological Diversity, Calusa Waterkeeper and Waterkeeper Alliance. Before approving long-term schedules for discharges from Lake Okeechobee, the Corps is supposed to work with scientists from the Fish and Wildlife Service and National Marine Fisheries Service to assess risks to plants and animals protected under the Endangered Species Act. 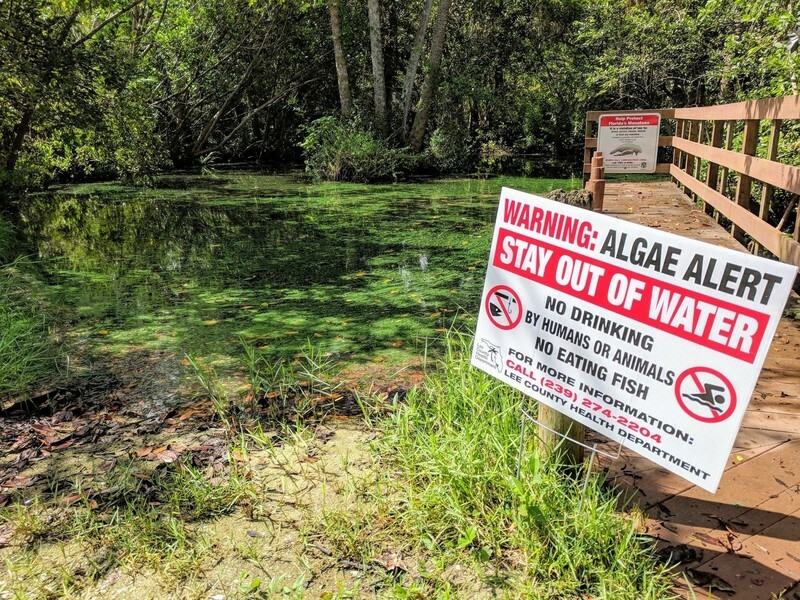 But the agencies have ignored the impacts of the algal blooms and failed to consider how the ongoing damage would harm populations of manatees, sea turtles, smalltooth sawfish and coral for the next seven years. It has been well documented that the current schedule for discharges from the lake causes harm to the rivers, their estuaries and marine animals. The harmful discharges are managed by the Corps to prioritize agricultural needs. The releases, which include algae and nutrients that are allowed to accumulate in the lake, cause significant harm to water quality and wildlife. Past analyses of the Corps’ schedule for the lake failed to consider the long-term impacts of high volume discharges beyond three years, discounted the effects of harmful algal blooms and did not consider habitat impacts triggered by climate change. In 2008 the Corps updated its plan for managing the discharges with the goal of lowering the risk of damage to the Herbert Hoover Dam, which retains the lake. But the plan was supposed to be reconfigured within three years to incorporate the impacts of structural improvements to the dike and water quality upgrades projected to come from the Comprehensive Everglades Restoration Plan. The dike repairs are behind schedule, the Everglades plan has not been completed and toxic algae blooms continue to kill countless marine animals. Meanwhile the Corps has opted to simply extend the current water-management plan through 2025 without assessing the harm to protected wildlife and water quality. Photo courtesy Calusa Waterkeeper. This image is available for media use.